The Inspection of international mail items by local and international customs authorities is a standard part of the process of sending or receiving international mail and generally the item continues on its delivery journey smoothly and as planned. The most common reasons parcels are held by customs is for further inspection or import taxes are payable on the goods. Goods with a value of AUD 1000.00 or less generally are tax exempt. However, you will need to pay duties and taxes on some goods (like tobacco, tobacco products or alcoholic beverages) regardless of their value. In most cases, all that customs will require from you is confirmation that the value of your parcel is of below $1000.00 you may need to provide evidence of your payment receipt of your parcel purchase. If your parcel has a value of more than $1000.00 you will need to customs clear your parcel with a formal customs clearance declaration. The declaration will be assessed for Duty and Goods & Services Tax (GST). You will need to lodge the import declaration with Australian Customs and then pay the taxes applicable before the parcel can be delivered. From time we receive your documents for the assessment by Customs and Border Protection and the payments of your charges. 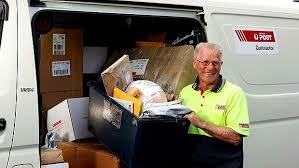 While we aim to clear all parcels within 24 hrs unexpected delays can occur. Please note AusPost tracking can often stop at the sorting facility - you can call them for for an accurate delivery update.